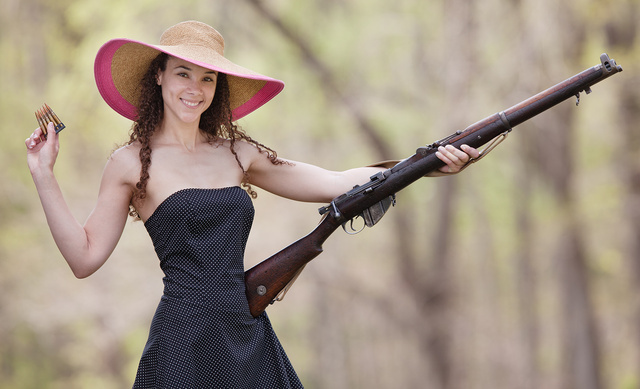 I guess the top of the dress works and isn’t much sillier than dropping a loaded Desert Eagle magazine down the neckline with later hopes of being able to retrieve it quickly. Greeks, no doubt as a nod to the Amazon tradition, made more practical ways of carrying ammo. Not quite as stylish as the leather British designs, they were light and cheap enough to discard after use. In fact, I am not sure if the canvas bandoleer is actually of Greek production or was part of the aid from the UK or the US during their 194os civil war. In any case, remember that these photos are fashion snapshots and not a realistic depiction of a live fire exercise. 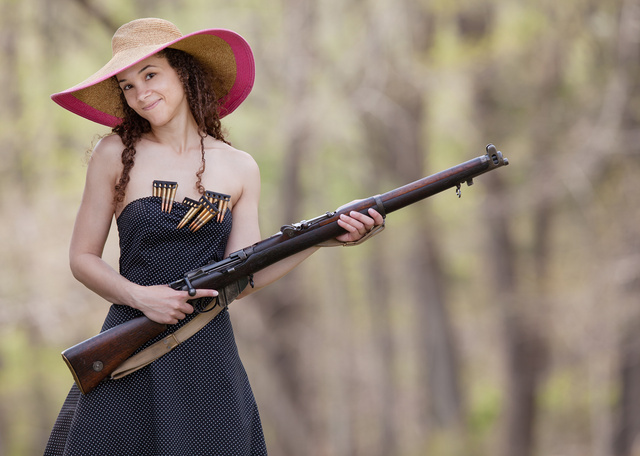 Eye and ear protection are required for actual shooting. 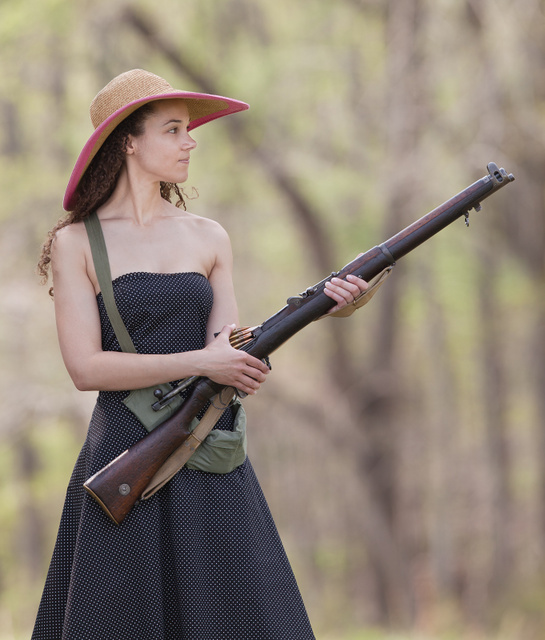 This entry was posted in ammunition, interesting people, rifle, training, weapon and tagged 303 British, bolt action, dress, hat, woman. Bookmark the permalink.